here’s nothing quite like the pungent impact of horseradish to remind you that you have sinuses, and that they can hurt. My first encounter with this potent root was at the elbow of my Great Grandfather. The son of German immigrants, one of his favorite lunches was sliced liverwurst on white bread with horseradish cream and white onions. You may have encountered it in a Passover Seder or dyed green with your favorite sushi. However you first met Armoracia rusticana, a cousin of mustard, broccoli, radishes, and cabbage, you likely don’t know much about its storied history as a medicinal plant. 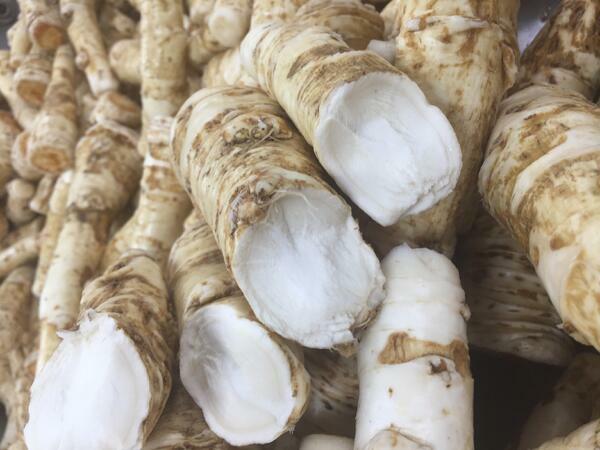 As far back as Greek mythology, where the Delphic Oracle and Apollo reportedly had a conversation about it’s worth being equal to gold, the humble horseradish root has been a staple in the medicine chests, kitchens, and gardens of healers from Russia to the Americas. Packed with Vitamin C and sure to clear the sinuses with a sniff or two (thanks to the chemical reaction that happens when it’s cell wall are broken, basically creating mustard gas!) historical figures from Pliny to George Washington made sure that it was near to hand. 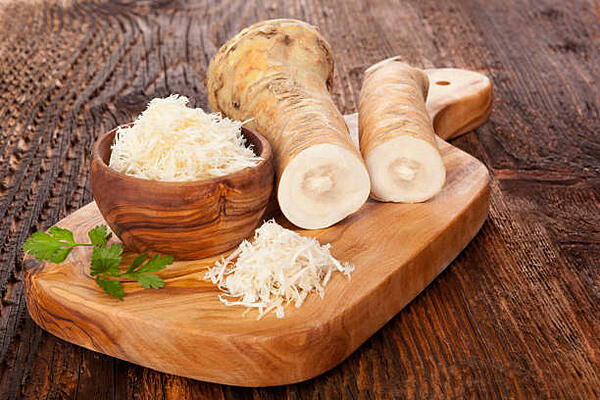 Horseradish also managed to work its way into the culinary traditions of most of Europe either as a sauce or condiment for dishes from fish to holiday soups, and all that while this woody root was doing amazing things for the people eating it. In 2016 the University of Illinois College of Agricultural, Consumer and Environmental Sciences released a study where they, “...identified and quantified the compounds responsible for the cancer-fighting compounds, known as glucosinolates, in horseradish…” That’s right, the detoxifying enzymes, known as glucosinolates, help to reduce cancer-causing free-radicals. We may not have always understood just how good it was for us but it’s reassuring when our gut feelings, and anecdotal experiences can be borne out by modern medicine. Horseradish was one of the seed ingredients in the earliest versions of our Fire Cider, dating all the way back to the honey/garlic/horseradish kitchen concoctions that Dana's Grandma Mutti used to keep on her window sill. So take your daily shot of Fire Cider, enjoy the spicy kick, the accompanying sinus tingle brought to you by the raw horseradish that goes into every batch, and know that you've just done something incredibly good for yourself!